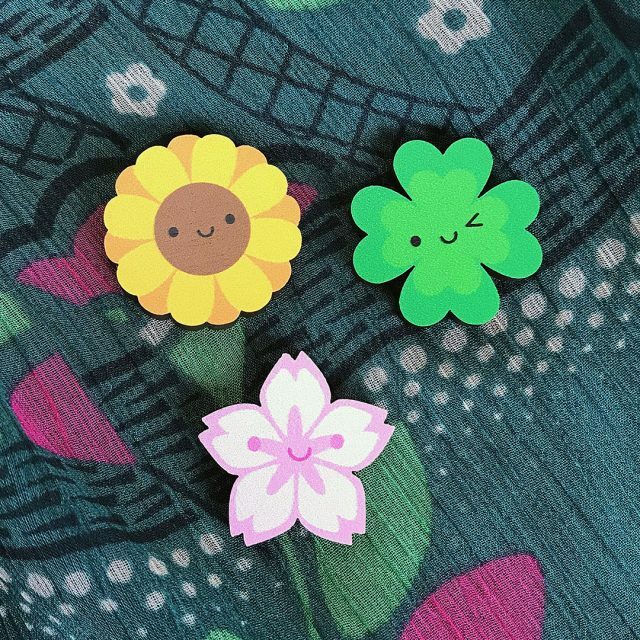 Winter always seems to last forever here in Scotland but I’m trying to bring springtime a little closer with my new Spring Flowers pins and patterns. 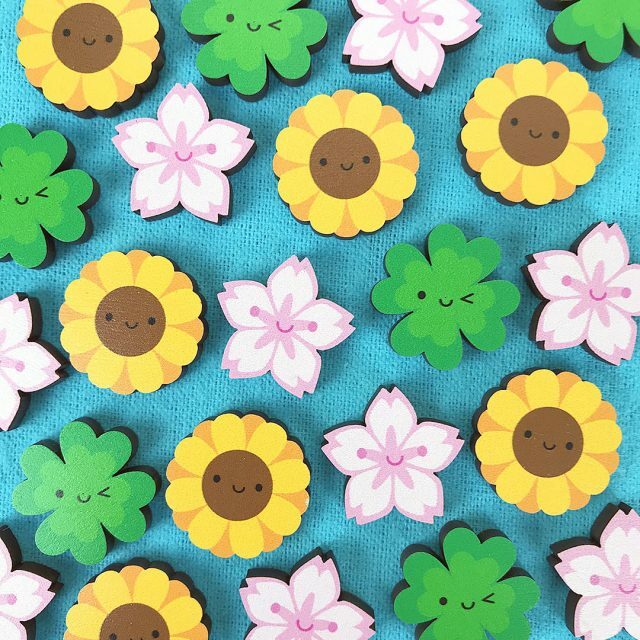 I was so happy that my first collection of wooden pins were just as popular as the old enamel pins. 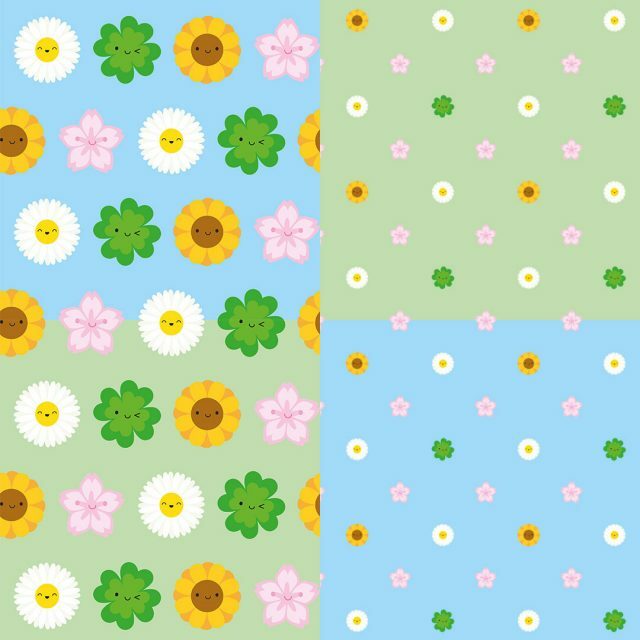 I’ll be adding more designs throughout the year, and the newest set features a Sunflower, Sakura cherry blossom and Lucky Clover. They turned out so tiny and cute, and are fun to group together. They would make great Mother’s Day gifts too. Get them in my shop or from Etsy for £5.50 each, any 2 for £8.50 or all 3 together for just £11.50, all with free UK shipping. I created some patterns to match in 2 different designs and colourways. 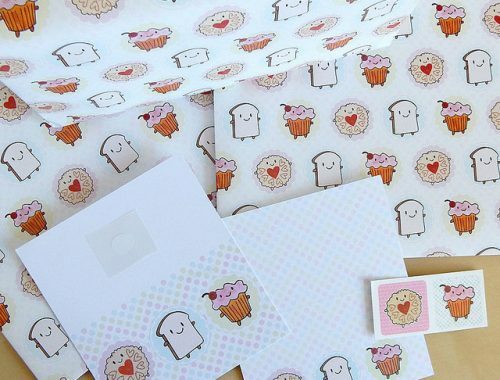 You’ll find all four in my Spoonflower store for fabric, gift wrap and wallpaper. 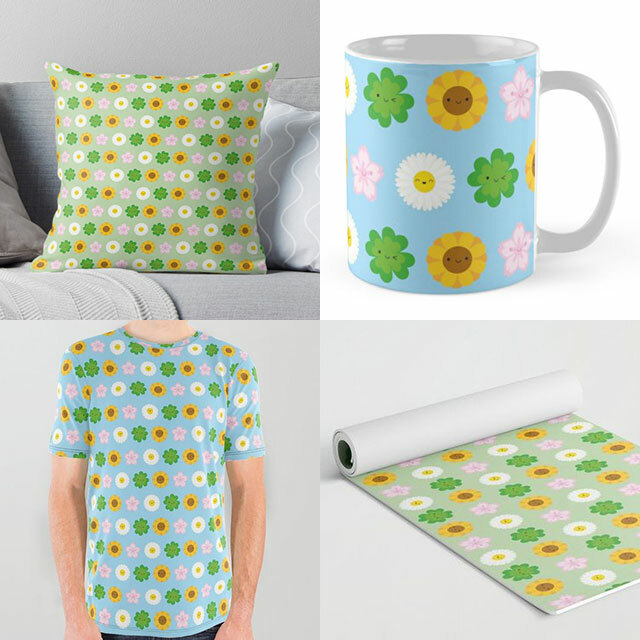 The blue and green rows pattern is also available in my on-demand stores on a huge range of products including bags, phone cases, mugs, pillows, bedding, stationery, clothing, gift wrap and even furniture! 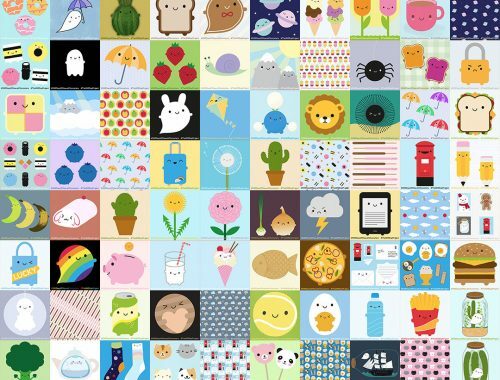 Check out Society6 and Redbubble to see the full range, and I’ll be updating my Zazzle in the next few days. 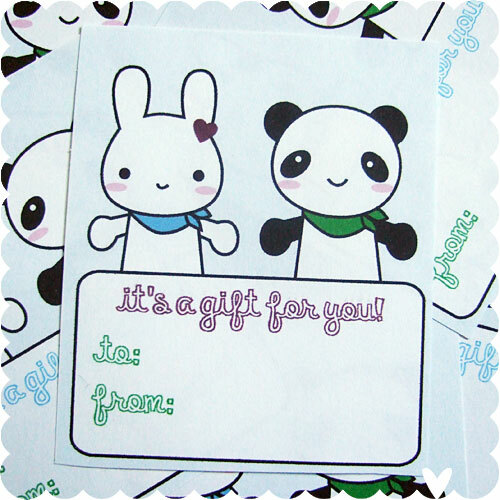 Hope you like them? What else would you like to see these characters on?